Real music emanates from the guts and the heart, it’s infused with soul and passion. Sometimes it’s tender, sometimes it’s raw but most importantly it makes a connection that runs from the author’s pen and guitar strings, down wires and cables and through the ether to the listeners’ ears. Thoughts and ideas, wild and considered, transported via melodies and rhythms from heart to heart. Kristen Lee Morris has built a career on writing, singing and playing guitar in just this fashion. It’s blues music at its core but with a freedom and range that also draws on country and folk styles. Whether it’s a lonesome harmonica drawing a line back to Neil Young, loose-limbed boogie guitar steeped in both the sound of the blues masters and more recent exponents such as Chris Whitley, or the heartfelt poetry from documentarians of heartache such as Townes Van Zandt and Steve Earle – you can hear it all in Morris’ special blend. In 2014 Morris captured his hard swamp blues on his Kasey Chambers-produced debut album Ruins with songs such as ‘Bury My Bones’ and the title track hitting that sweet spot between stomping wooden floorboard grooves and heady melodies. Stages were shared with the likes of Chambers, The Blind Boys of Alabama, Charlie Parr, The Fumes and Hayes Carll before Morris and partner Sarah Humphreys brought their Eagle & The Wolf collaboration to life with a rich and soulful Americana album of the same name. 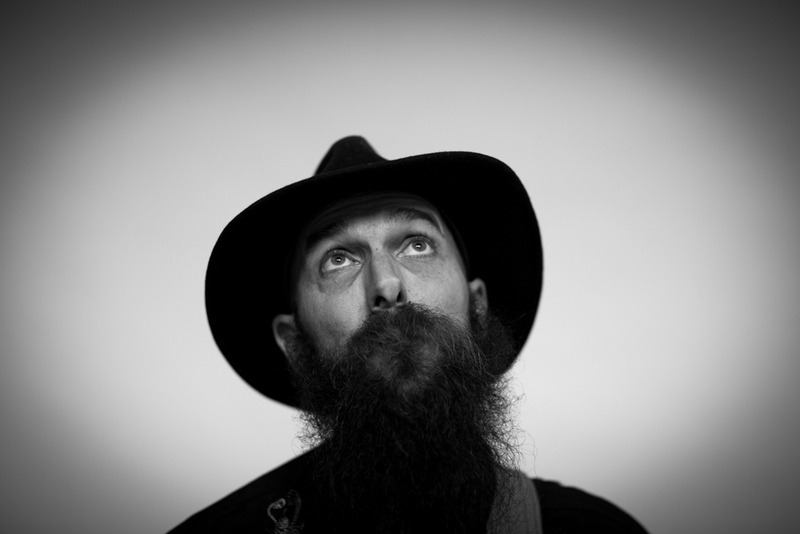 2018 was the year of Hillbilly Blues, Morris’ second solo album and one that eloquently encapsulates the spirit and verve of everything he’s absorbed as a musician and songwriter – from the eviscerating guitar on ‘I’ve Got Nothing But I’m Free’, to the heartwarming duet with Humphreys on ‘Eagle Sun Wolf Moon’ and the sharply penned opening track ‘Cowboy’, chosen by Henry Wagons as his local song of the year on Double J’s Tower Of Song. Hillbilly Blues, produced by Bill Chambers, and recorded with a live band in two days, captures all the raw swagger and charm of Morris in full flight.